A landmark release for Anzac Day 2015 and the 100th anniversary of the Gallipoli campaign. 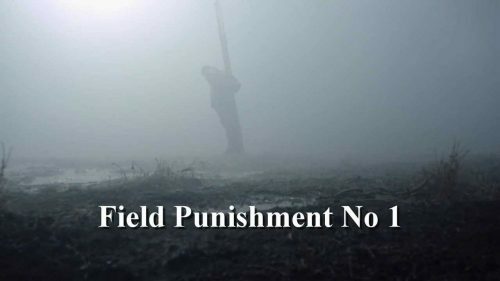 Field Punishment No.1 tells the story of New Zeeland conciousness objectors and what they went through to keep true to their beliefs. It was first released in April 2014 just before ANZAC day. Now it comes to the UK for the 100th anniversary of the Gallipoli campaign. Something that the film doesn’t cover as it’s set in 1916, a year after that catastrophic campaign. An anniversary that is meaningless in the context of the film. The trailer shows what these men put up with but the first four words from the synopsis makes me wonder how much is fact and how much was made up for artistic licence, or some such phase. Based on true events, the powerful, moving and brutal historical drama Field Punishment No. 1 tells one of the most remarkable and controversial stories of World War I: the stance taken by New Zealand’s first conscientious objectors, who endured incarceration, torture and even death for refusing to be conscripted against their will. Despite the unrelenting efforts of the Allied military machine, these men refused to renounce their pacifism. Arrested and secretly shipped off to Europe, they endured years of hardship in prisons and punishment camps and ultimately they were sent to the front line from which many never returned. How these men were stigmatized and tortured in an attempt to break their spirit makes for an uncompromising and dramatic war story – but the integrity, courage and compassion with which they dealt with the cruelty is even more extraordinary as ‘digger’ and pacifist alike confronted the ‘Great War’.